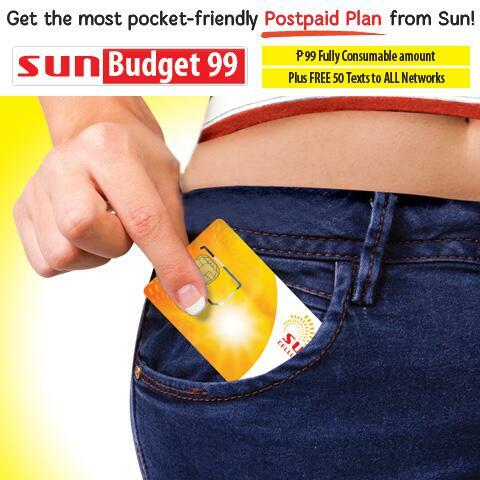 Here’s a worry free Sun Cellular Budget Plan 99, the newest postpaid offer to their subscribers that cost only 99 pesos. With that amount you can now get the most affordable and no lock in period plan with bundled network services. This includes Sun lowest call and text rate that charges you only 3 pesos per minute regular calls and P0.10 per text message sent. You can get exclusive postpaid SIM card from Sun Cellular where all packages and wireless services is activated. Summing all the details for this plan cost you 149 pesos that gives you almost 50 percent more than what you pay for. If you’re interested to avail this, you can go to your nearest Sun Shop and inquire about for more details. Just make sure to secure all the required documents and do note that every application is subject for Sun Cellular’s approval.